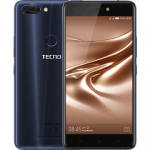 The Tecno Phantom 6 Plus is a smartphone by Tecno Mobile and it has been released. 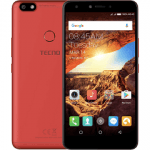 The Tecno Phantom 6 Plus boast of a 2.0 GHz Quad core + 2.5GHz Quad core + 1.4GHz dual core processor, a 6.0 inches of display with Android 6.0, Marshmallow. The Tecno Phantom 6 Plus also comes with a 4GB of RAM, an internal memory of 64GB, expandable by up to 128GB. It also boast of an 21.0MP back camera with LED flash and an 8.0 MP front camera and a 4050mah battery capacity to push all this. Yep, although the Tecno phantom 6 plus is a high end device, it boost of a great specs at a very low price. Yes, the Tecno phantom 6 plus comes with 4 GB of RAM and a great MediaTek processor.